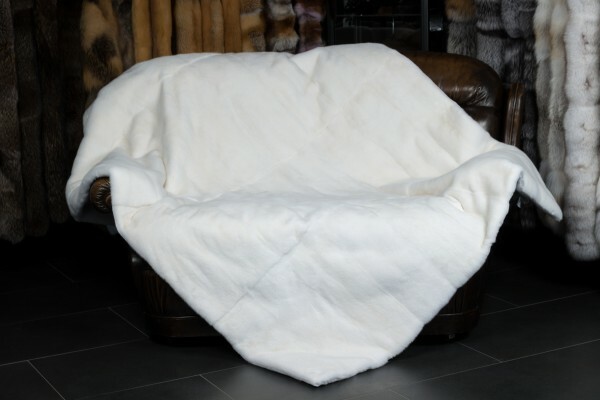 This white mink fur blanket with fur both sides are made with first-class minks. Our mink fur blanket is an excellent real fur blanket which will make your luxurious home even more elegant. The unique extra is that our master furriers used the white mink fur on both sides of the blanket. On the one blanket side is natural white mink and as a back-lining, we used very, plucked mink. This mink fur blanket will provide you with warmth on cold evenings. We always purchase the skins for our mink fur blankets directly from the Copenhagen Fur auction in Denmark. We can guarantee to only use the highest quality minks for our mink fur blankets. The American mink is a predator species which belongs to the family of the martens and is native to North America and Canada. The primary color of the mink fur is brown, and the hair is usually very dense and soft. Nowadays different varieties of mink types exist through breedings and mutations. The white mink is naturally white and it perfectly suitable for dyeing an all colors. 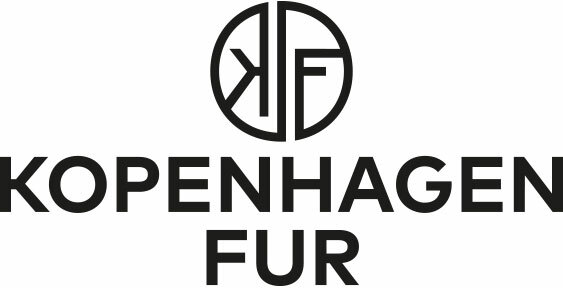 Responsible handling of the natural product fur is our primary concern, and therefore we purchase our white minks only from renowned fur auctions like the Kopenhagen Fur auction in Denmark. If you decide to buy a product from Scandinavian white minks, you can be sure to receive a first class fur product from excellent farms according to European standards. We produce white mink fur blankets, fur cushions and accessories. If you have any questions or requests, please do not hesitate to contact us. When mink fur skins get plucked, they are called velvet minks. The plucking is a modern velvet finishing, whereby the guard hair of the mink skins is removed from the hair roots. This reveals the velvety soft underwool. If you pluck the mink skin, the fur becomes much lighter, and the hair feels very soft. Ссылки на другие веб-сайты "White Mink Fur Blanket with fur on both sides"
Оценки покупателей по "White Mink Fur Blanket with fur on both sides"